Brick Town Talk: Inspiration of the Day - 12/11/11 - LEGO Town, Architecture, Building Tips, Inspiration Ideas, and more! 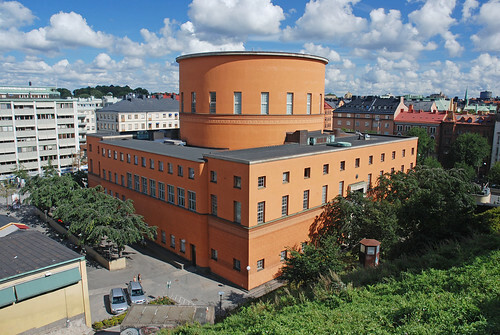 Stockholm, Sweden - (BTT) Designed by Gunnar Asplund, quite possibly Sweden's most celebrated architect, the Stockholm Public Library is a stunning example of the rather short-lived Nordic Classicism style. Completed in 1928, it was the first library in Sweden that had open shelves accessible to the public without the need for a librarian - the grand interior was specifically designed to show off the collection and allow its visitors to browse unaided. Get a job as a LEGO Master Model Builder!